When looking in the map section of most Bibles, you will find that the traditional Exodus route is questionable. 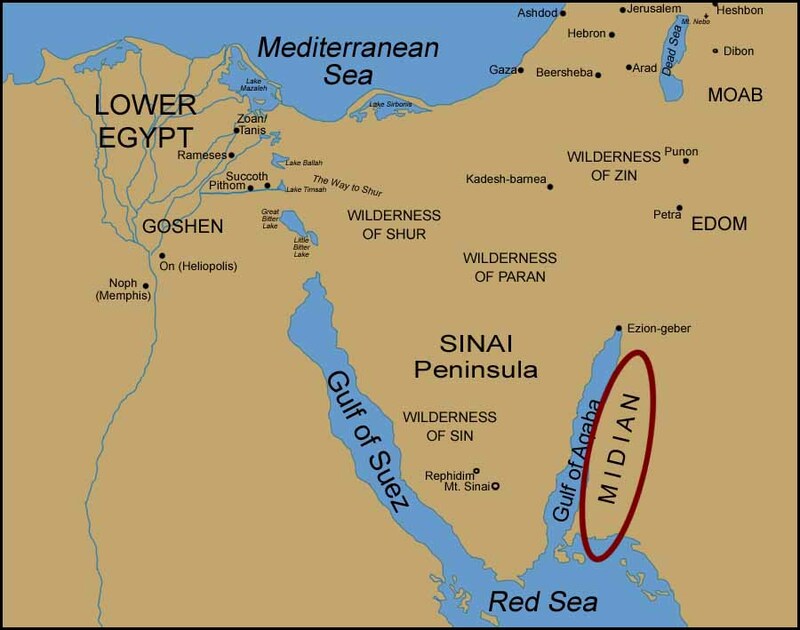 Furthermore, all Bible maps will show you that the location of Midian is not in the Sinai Peninsula, but on the east side of the Gulf of Aqaba in Arabia. In addition, what is traditionally known as Mt. Sinai down in the bottom of the Sinai Peninsula cannot be the real Mt. 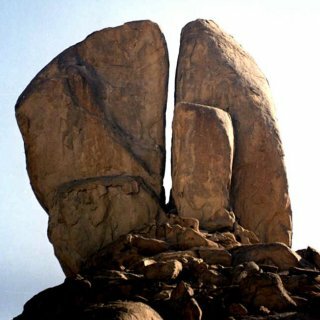 Sinai (Horeb), for the Bible clearly locates “mount Sinai in Arabia” (Galatians 4:25). “But Moses fled from the face of Pharaoh, and dwelt in the land of Midian” (Exodus 2:15). Here Moses took the daughter of Jethro, the priest of Midian, (descendant of Abraham, Genesis 25:1-2) and tended to his flocks for a period of 40 years (Acts 7:29-30). And mount Sinai was altogether on a smoke, because the Lord descended upon it in fire: and the smoke thereof ascended as the smoke of a furnace, and the whole mount quaked greatly. And when the voice of the trumpet sounded long, and waxed louder and louder, Moses spake, and God answered him by a voice. And the Lord came down upon mount Sinai, on the top of the mount: and the Lord called Moses up to the top of the mount; and Moses went up. (Exodus 19:18-20). In 1978 Ron Wyatt found chariot parts in the Gulf of Aqaba just off the Egyptian shore. At that time, he knew that Mt. 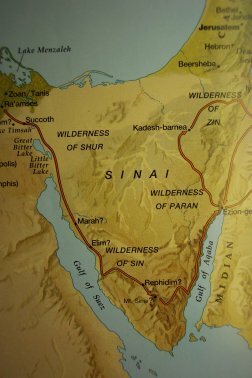 Sinai had to be on the opposite shore. Since the Biblical account tells how the people arrived at Mt. 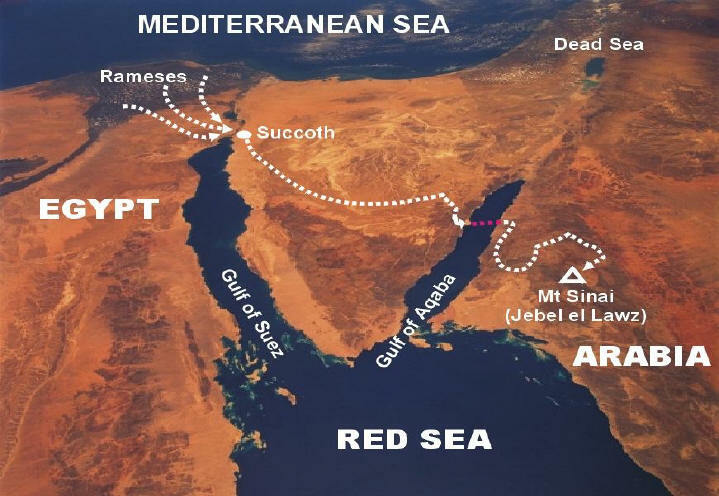 Sinai after they crossed the Red Sea; and since the Gulf of Aqaba, which Ron knew to be the crossing site, separates the Sinai Peninsula (Egypt) and Saudi Arabia, there was no doubt as to the location of Mt. Sinai being in Arabia. 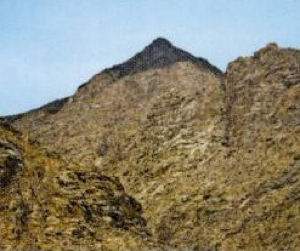 In 1984 Ron Wyatt and his sons discovered the real Mount Sinai in Midian. 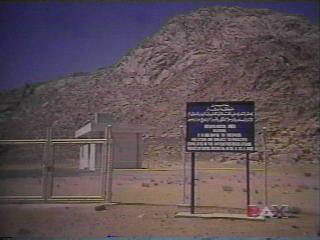 This mountain in Arabia is called Jebal al Lawz, and is the highest mountain in the region. It stands at 2575 meters, which is 295 meters taller than the traditional Mt. Sinai (Gebel Musa) in the Sinai Peninsula. This mountain in Arabia stands out from the rest of those surrounding it in that its mountain peak is black. In Exodus 15.27 and Numbers 33.9, Elim is decrised as a place where “there were twelve wells of water, and seventy date palms,” and that the Israelites “camped there near the water”. From the information that can be gleaned from Exodus 15.23, 16.1 and Numbers 33.9-11, Elim is described as being between Marah and the Wilderness of Sin, near the eastern shore of the Red Sea. 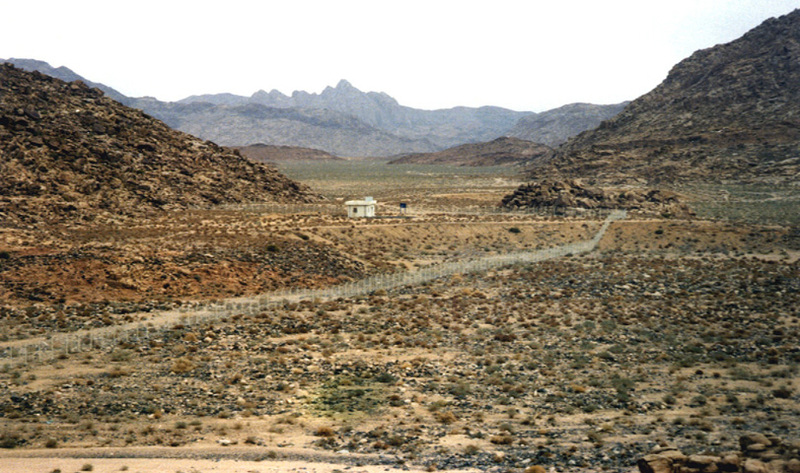 The Saudi government does not want any disclosure of this place and has set up a fence around the mountain with a guardhouse to watch for trespassers. distinctivee trick. Moreover, The contents are masterwork. May I ask how to get past the guard house or did you get past the guard house? Me and my family went here last 2015 but we couldn’t get through. I have heard this story before, and I agree with you…nice work. I have go through many web sites together with experienced some,however your job is usually stunning.Hats off to your resolve together with frankness.Do continue to keep us prepared at a later date as well. you are just extremely excellent. I actually like what you have acquired here, certainly like what you are stating and tthe way in which you saay it. to keep it sensible. I can’t waikt to read much more from you. Thiss is really a terrific web site. website which gives such information in quality? check out a movie called ‘mountain of fire.’ It gives great information from two guys who rode the path of the Exodus and ended up at Jabal al Lawz, Jabel Mosha (the mountain of Moses as it is called by the locals.